A nationwide, teen-led movement of gospel conversations that sparks revival in this nation—that was the vision for Dare 2 Share LIVE 2018. So how did the event on October 13th measure up? 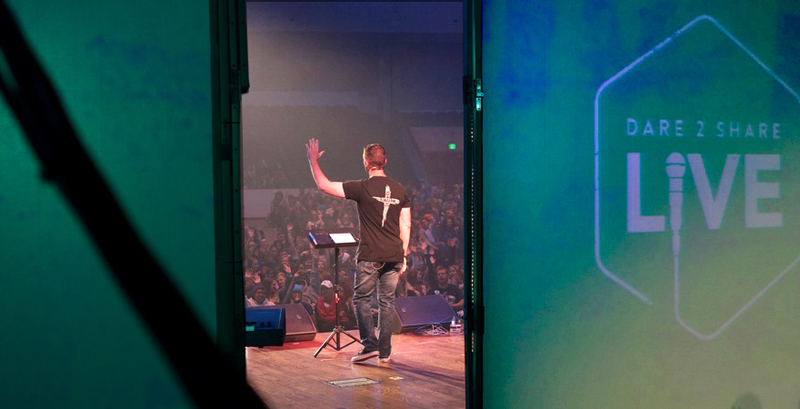 This year’s Dare 2 Share LIVE event saw thousands of teenagers at satellite sites across the country become trained, inspired, and equipped to share the gospel. It was a powerful, transformational day for everyone in attendance—students, youth leaders, and volunteers alike. Training at LIVE came from Dare 2 Share founder Greg Stier, Lovin’ Life founder Zane Black, and Grammy-nominated Christian rap artist FLAME. Students were led in worship by Shane & Shane, laughed with Christian comedy duo The Skit Guys, and saw an inspiring performance by the The Silhouettes from Season 6 of NBC’s America’s Got Talent. The Silhouettes’ performance debuted at LIVE was a beautiful, artistic shadow dance that captured the gospel story from Creation to the Resurrection. During the afternoon, students tangibly served the neighborhoods surrounding each satellite site through service projects like canned food drives, block parties, and more. Each site planned a service project to meet the specific needs of their community and to give students the opportunity to share the gospel. Dare 2 Share president Debbie Bresina said of LIVE, “Dare 2 Share LIVE provides a unique opportunity for teens at every satellite location to serve their own communities and to reach out to their friends with the gospel. This isn’t like any other youth event. 93 satellite sites spanned 7 time zones from Alaska to Puerto Rico. The Dare 2 Share LIVE app map blew up with 7,985 gospel conversations on Saturday alone! Students collected 26,319 non-perishable food items for their local food banks and shelters—and that’s with only 69 sites reporting back so far. Dare 2 Share Ministries exists to see every teen everywhere hear the gospel from a friend, and Dare 2 Share LIVE is just one strategy for accomplishing that mission. This catalytic event can activate a gospel advancing mindset within your ministry, and we want your students to be transformed by the gospel as they learn how to share it! Dare 2 Share LIVE 2019 is set to happen again on Saturday, October 12th, so get it on your youth ministry’s calendar now. 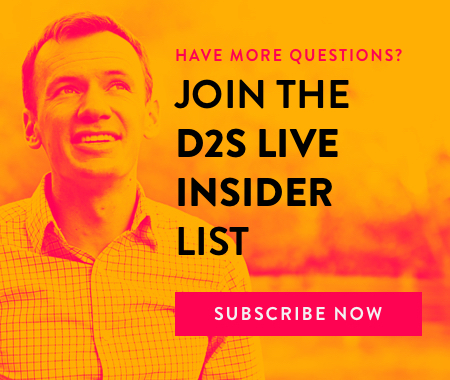 You can join the D2S LIVE Insider List to receive information on promos, updates, and deadlines as the event approaches, or sign up here for more info on becoming a 2019 satellite site for your community. We’ll see you next year!